Planet Technology makes wireless networking even more simple by offering a great choice to extend the wireless range. The WNAP-1260 Wall Plug Universal WiFi Repeater features a sleek compact design that plugs easily into any electrical outlet. The unit simply operates in different locations and environments with the hardware switch features: AP, Repeater, and Client, which helps users to immediately set up a wireless network without software configuration. 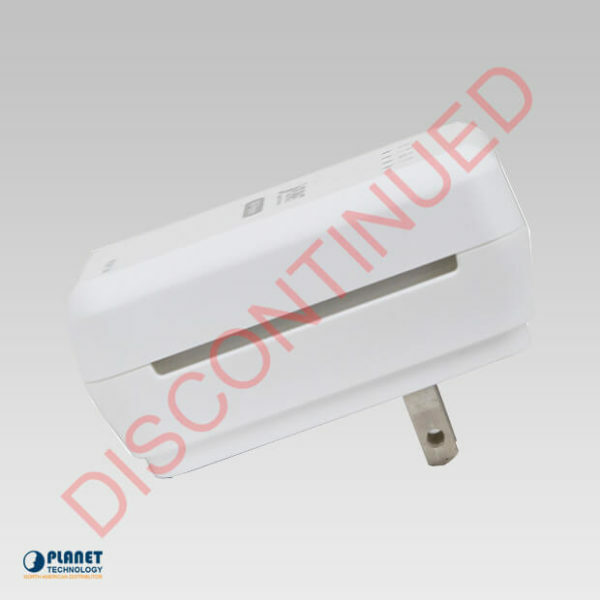 The efficient design makes this unit a perfect choice for extension of wireless LAN. The WNAP-1260 is compliant with 802.11b/g/n standards and showcases 2T2R antenna technology. The unit features a 802.11n radio and features transmission rates of 300Mbps, The WNAP-1260 makes it simple to manage wireless devices with the current wired network. 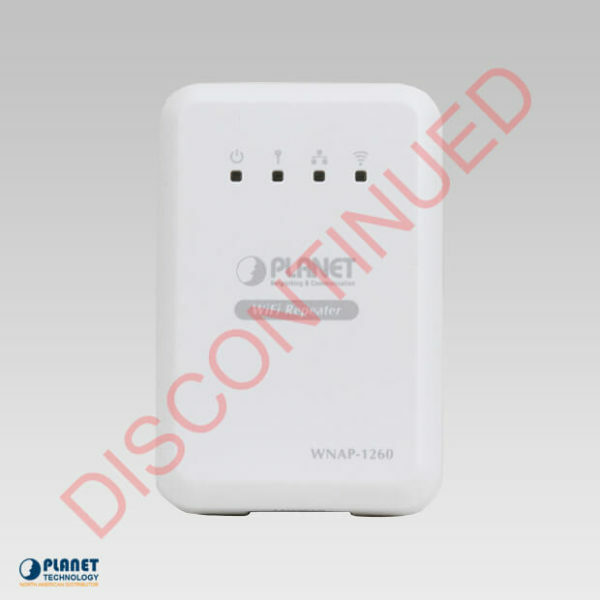 Compared with standard wireless routers, the WNAP-1260 allows users to access the internet even easier and to extend wireless range. The WNAP-1260 makes security even more efficient by supporting Wi-Fi Protected Setup (WPS) with configuration in PBC and PIN type. 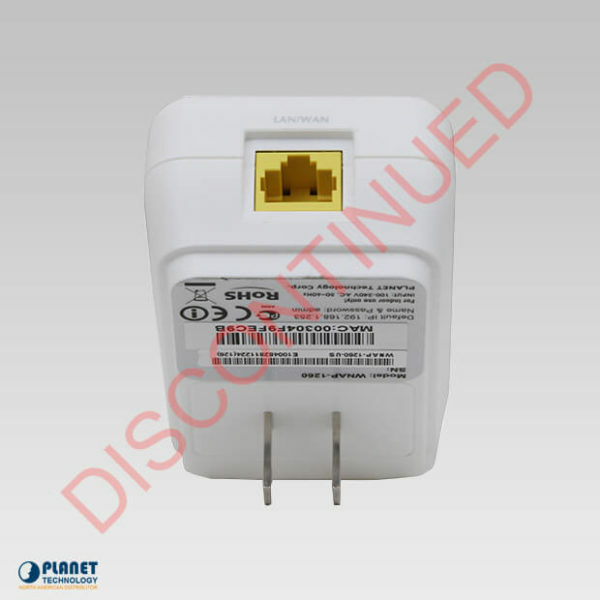 By entering the PIN code or pressing the WPS button, a dependable connection between the unit and the Access Point can be created. This gives users an even simpler way to access stable internet. The WNAP-1260 features a slim design that is compact and simply plugs into outlets. This unit makes operation in different environments simple with the following hardware switch modes:AP, Repeater, and Client. These modes allow users to build wireless networks without software configuration. The unit’s ability to plug into a power outlet makes this unit ideal to extend range. The WNAP-1260 supports the latest encryptions such as WPA / WPA2-PSK with TKIP/AES. The WNAP-1260 was crafted to meet the demands of enterprises and features enhanced security and management features. These features include support of multiple SSID support. It can create up to 5 virtual standalone AP with 5 different SSID according to individual security levels and encryption scheme of various wireless devices. The WNAP-1260 is a cost effective choice for wireless solutions. The unit features WAN Internet access and high speed IEEE 802.11n wireless transmission. In addition, the unit features one LAN/WAN port to connect to a LAN or for connection via cable and xDSL. The unit allows users to simply share wireless network service through the extension of range wherever the location. The WNAP-1260 supports NAT functions in the unit’s router mode, which lets many users to access Internet through one IP. The unit offers Port Forwarding and DMZ for LAN PC which serves as the application server. In addition, the advanced firewall by the WNAP-1260 blocks unauthorized users and different DoS attacks. The WNAP-1260 also provides IP / MAC / Port / URL filtering to keep out hackers. The unit features a built-in small power-supply brick with a integral male plug. This allows the WNAP-1260 to be plugged directly into a power outlet. 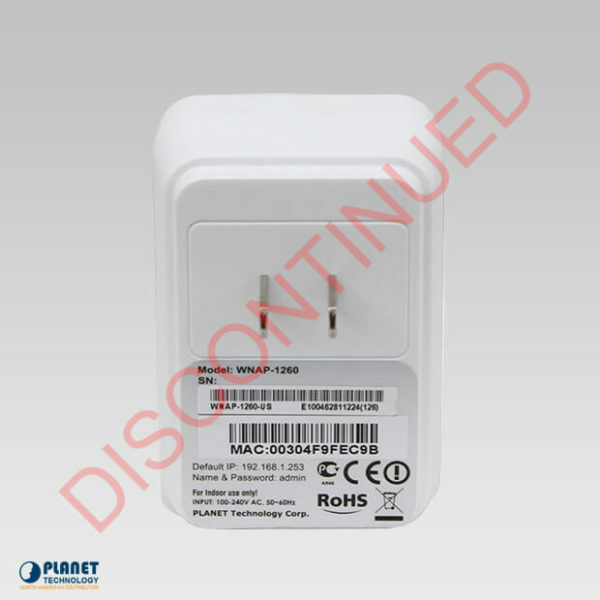 The unit can be plugged simply into any outlet to repeat current weak Wi-Fi signals by utilizing the unit’s WPS button. Users also have the ability to apply operating modes by switching the Hardware Mode Switch.